Home » Uncategorized » We now supply Mimosa extract by the pallet load direct from our U.K. warehouse up to full container loads shipped from South Africa. In 2014 we were pleased to announce in the ILM International Leather Maker on-line magazine, our new UK and French agencies for the Mimosa extract range manufactured by UCL Company (Pty) Ltd in South Africa. We now supply Mimosa extract by the pallet load direct from our U.K. warehouse up to full container loads shipped from South Africa. 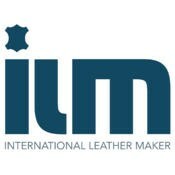 In 2014 we were pleased to announce in the ILM International Leather Maker on-line magazine, our new UK and French agencies for the Mimosa extract range manufactured by UCL Company (Pty) Ltd in South Africa. To compliment its portfolio of products Tannequip has recently been appointed by UCL Company (Pty) Ltd as it’s exclusive agent in the United Kingdom for the supply of its Mimosa product range. UCL is based in South Africa and manufacturers high quality Mimosa Wattle Bark Extract for supply to the leather industry. 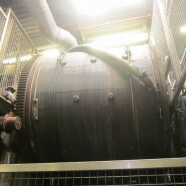 UCL has successfully been selling its Mimosa product range to tanneries on a global basis since 1952.